Mesopotamia is a term used to refer to a historical region in western Asia within the Tigris–Euphrates river system. Though not certain, it is generally regarded as the place where human societies first emerged and thus it is often referred to as the “cradle of civilization”. 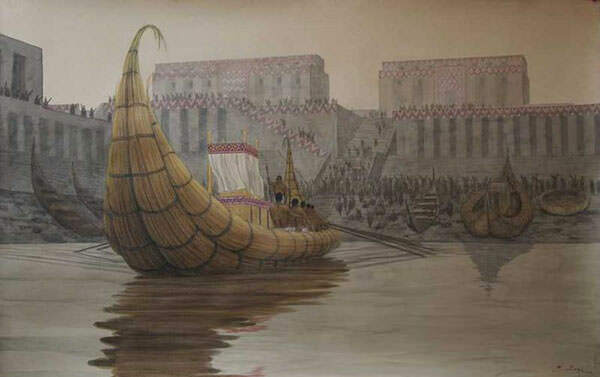 Mesopotamia was the place where the earliest historically important cities developed such as Uruk, Nineveh and Babylon. It saw the earliest major empires of the world led by famous leaders like Sargon of Akkad, Hammurabi and Tiglath-Pileser III. Mesopotamia was home to many of the oldest major civilizations in the world including Sumerians, Akkadians, Assyrians and Babylonians. Sumer, which was first permanently settled between 5500 BCE and 4000 BCE, is the earliest known civilization of Mesopotamia. Mesopotamia, as a civilization, is considered to have ended with the fall of Babylon to Cyrus the Great of Persia in 539 BC. Here are 10 interesting facts about Mesopotamia including its history, cities, empires and kings. 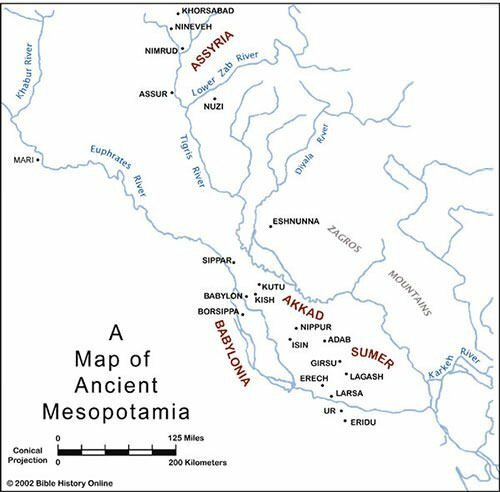 The term Mesopotamia comes from ancient Greek root words “meso”, meaning “middle”; and “potamos” meaning “river”. It thus translates to “(land) in the middle of rivers”. Mesopotamia broadly refers to the lands between the rivers Euphrates and Tigris. The region includes most of modern day Iraq; Kuwait; and parts of northern Saudi Arabia, western Iran, eastern Syria and south-eastern Turkey. Mesopotamia is usually divided into Northern or Upper Mesopotamia, which is the area between the two rivers from their sources down to Baghdad; and Southern or Lower Mesopotamia, which is the area from Baghdad to the Persian Gulf including Kuwait and parts of western Iran. Mesopotamia was home to many of the oldest major civilizations in the world including Sumerians, Akkadians, Assyrians and Babylonians. At first, the human occupation of Mesopotamia was confined to the foothill zones of the Taurus and Zagros Mountains. Around 9 millennium BC, agriculture was developed and people began domesticating animals. After artificial irrigation was invented, water was brought to large stretches of territory through a network of canals. This enabled people to spread from the northern regions to Southern Mesopotamia. Located in modern-day southern Iraq, Sumer was the first urban civilization in ancient Mesopotamia. The Sumerian city of Eridu is regarded as the first city in the world. It was founded around 5400 BC on the coast of the Persian Gulf in Southern Mesopotamia. Prehistoric people known as Ubaidians are believed to be the first civilizing force in Sumer, draining the marshes for agriculture, developing trade and establishing industries. By 3000 BC, Mesopotamia was firmly under the control of the Sumerian people. Sumer contained several decentralized city-states including Eridu, Nippur, Lagash, Uruk, Kish and Ur. The most prominent city of Sumer was Uruk, which is situated around 30 km east of the modern city of Samawah in Iraq. Among the first cities in the region, it played a leading role in urbanization and state formation in Mesopotamia during what is known as the Uruk period. Uruk’s growth made it the largest Mesopotamian settlement, in both population and area. At its height, around 2900 BC, it had a population between 40,000 and 80,000 living in 6 km2 of walled area. This made Uruk most likely the largest city in the world at the time. In 25th century BC, Eannatum, king of the Sumerian city of Lagash, began a military campaign to annex the various city states. He eventually conquered all of Sumer and also extended his influence beyond its boundaries. The empire of Eannatum is one of the first verifiable empires in history. Akkad was a city in northern Mesopotamia. Sargon of Akkad, also known as Sargon the Great, founded the Akkadian Empire and conquered Sumer around 2270 BC. Sargon is considered the first great empire builder in Mesopotamia. He conquered all of southern Mesopotamia as well as parts of Syria, Anatolia and Elam (western Iran). The empire built by Sargon was the largest empire in recorded history up to that point. 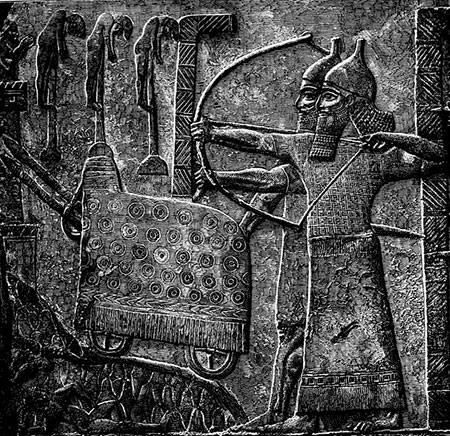 There were numerous rebellions during the reign of Sargon and it is considered by several historians that he had the world’s first professional standing army to protect his empire from the rebellious subjects. 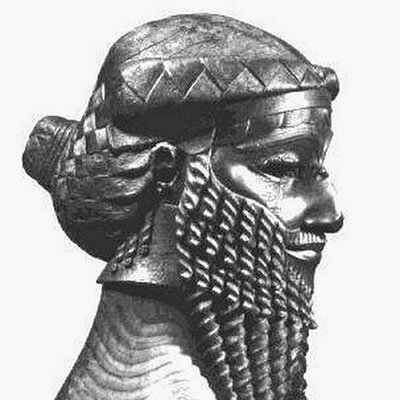 Sargon of Akkad was regarded as a model by Mesopotamian kings for around two millennia after his death. The Akkadian Empire existed for around 180 years from 2334 BC to 2154 BC. Then a Sumerian dynasty based in the city-state of Ur, also known as the Neo-Sumerian Empire, governed the region for about a century. Around 2000 BC, nomadic people known as the Amorites began to migrate into southern Mesopotamia. They adopted much of the Sumerian and Akkadian cultural heritage. The Amorites began expanding their influence taking over many city-states and played a role in the downfall of the Neo-Sumerian Empire. An Amorite chieftain named Sumu-abum freed a small area of land previously ruled by the fellow Amorite city state of Kazallu. This included Babylon, then a minor administrative center. Sumu-abum is regarded as the first king of the First Dynasty of Babylon. The sixth ruler of the First Dynasty of Babylon, Hammurabi, conducted major building work in Babylon, expanding it from a small town into a great city. 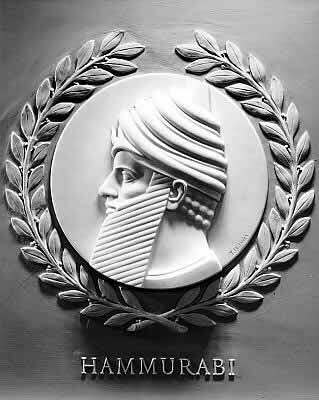 Hammurabi began a series of conquest to expand his empire. He first raided a number of towns and cities; and then defeated the major powers to the north, east, and south of Babylon. By the end of his reign, he had brought all of southern Mesopotamia and part of Assyria under Babylonian rule. Hammurabi was a very efficient ruler. He established a bureaucracy with taxation and centralized government. The First Dynasty of Babylon reached its greatest height, in terms of territory and power, under Hammurabi. However, he is most famous for his legal code known as the Code of Hammurabi, which was one of the earliest and most complete legal codes in history. It was during the reign of Hammurabi that southern Mesopotamia became known as Babylonia and Babylon eclipsed Nippur as its holy city. Assyria gets its name from its first capital city Assur, or Ashur, located on a plateau above the Tigris River in Mesopotamia. Geography put Assyria in a vulnerable position with its terrain open to plunder from most sides. Due to this it was in constant threat from neighboring states including the Mitanni, Hittite and Babylonian empires. At different points in their history, the Assyrians were subjugated by these powers and they had to fight constantly for their independence. This created a reactionary effect in Assyria which led to it developing an effective, well organized and strong military system that could cope with the constant aggression, conflicts and raids by its neighbors. This ultimately made the Assyrian army into an extremely potent force and, by 8th century BC, they triumphed over most of the powerful Mesopotamian kingdoms to become one of the first superpowers of the ancient world. Tiglath-Pileser III was an Assyrian king who reigned from 745 BC to 727 BC. Considered among the greatest Mesopotamian kings, he implemented a series of sweeping reforms to reorganize the military and restructure the bureaucracy of the government. He also created the first professional standing army of Assyria and made it into the most effective military force in history up until that time. Tiglath-Pileser III is considered one of the most successful military commanders in world history and he conquered most of the world known to the Assyrians before his death. Sargon II, a son of Tiglath-Pileser III, seized the throne in 722 BC and ruled Assyria till 705 BC. Under Sargon II, the Assyrian Empire reached its greatest heights. It was in fact the largest empire of the world up till that time. 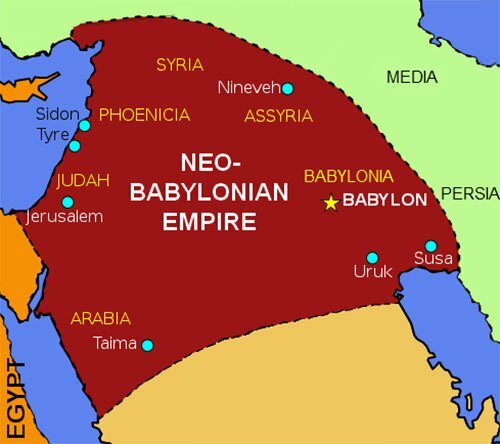 Nabopolassar became king of Babylon in 626 BC. He seized control over much of Babylonia from the Assyrians with the support of its inhabitants. He then formed an alliance with the Iranian people to attack and sack the Assyrian capital of Nineveh. 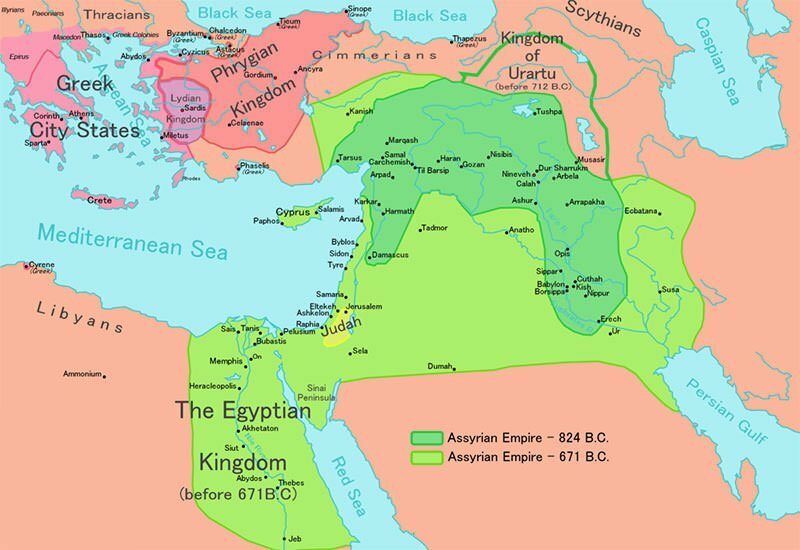 The Assyrian Empire ceased to exist in 609 BC. Nabopolassar and his successors went on to govern an empire known as the Neo-Babylonian Empire. It included much of Assyria’s former territory and lasted from 626 BC to 539 BC. In 539 BC, Cyrus the Great of Persia conquered the Neo-Babylonian Empire. This was the end of the last independent state of the ancient Mesopotamian civilization. By the time Alexander the Great conquered the Persian Empire in 331 BC, most of the great cities of Mesopotamia no longer existed. After the Muslim conquest in 651 AD, the region came to be known as Iraq. Mesopotamia was one of the four riverine civilizations where writing was invented, along with the Nile valley in Egypt, the Indus Valley Civilization in the Indian subcontinent and the Yellow River in China. The Sumerian civilization of Mesopotamia invented the cuneiform script around 3400 BC. Cuneiform is a Latin term meaning “wedge-shaped”. Sumerian writing developed from pictograms but grew in sophistication and ultimately became a full-fledged writing system that could be used for creating pieces of literature as well as prayers and laws. Though it is not the oldest example of writing, cuneiform script is considered a great milestone in human history. It was used for over 3,500 years; and was adapted for writing multiple languages including Akkadian, Hittite and Urartian. Knowledge of how to read cuneiform was lost by 2nd century AD as it was replaced by alphabetic writing. It was re-deciphered in the 19th century with the help of the Behistun Inscription.